RUD VRS M16 eyebolt with standard 24mm long bolt. 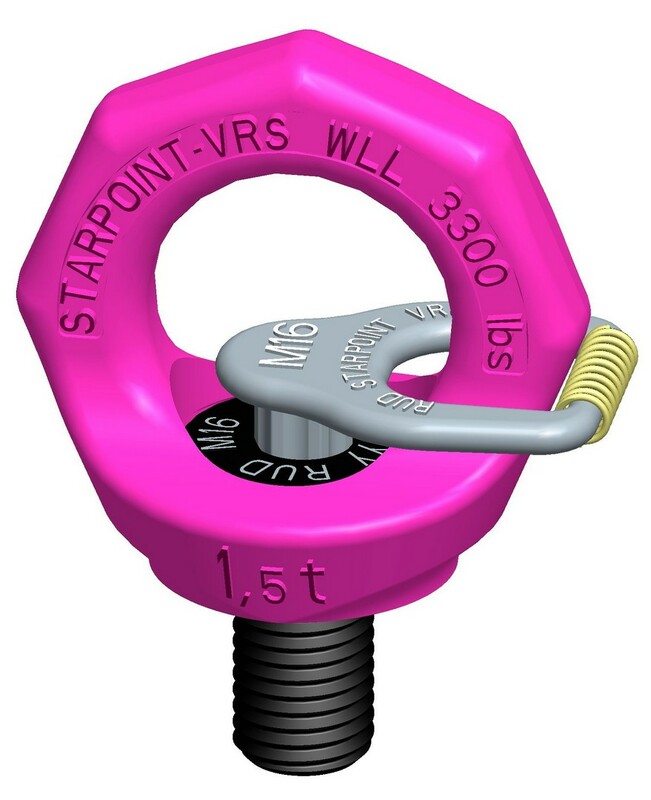 Rud Starpoint eyebolt can be adjusted to the direction of pull allowing lateral forces that are forbidden with standard eyebolts to DIN 580. The VRS star shape also gives a clear distinction from these standard eye bolts. Marking: Clear indication of WLL (in metric tonnes and lbs) for side load directions.